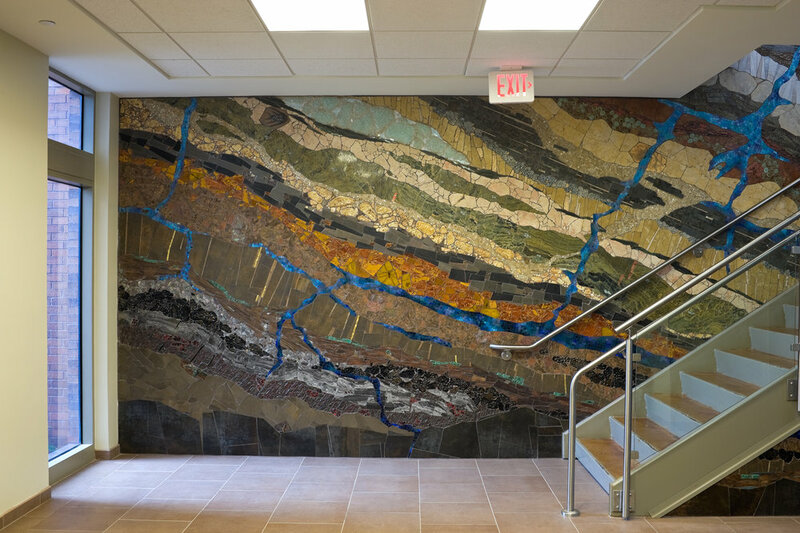 Strata is a 700 sq ft vertical installation in a public stairway in The Woodlands Town Center that provides access from the street level to the park and water level. 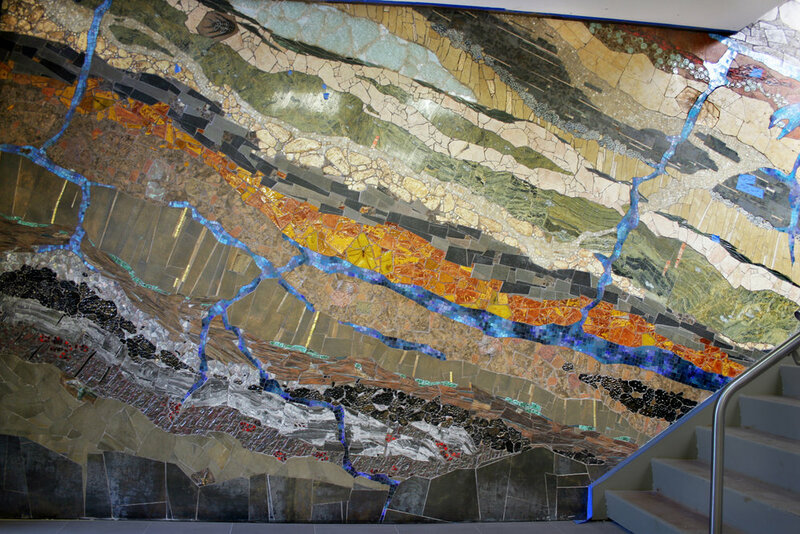 Strata is composed of hand-made ceramic tiles, smalti, cast glass, granite, and marble. The stairway and lobby evoke the feeling of being inside the earth. 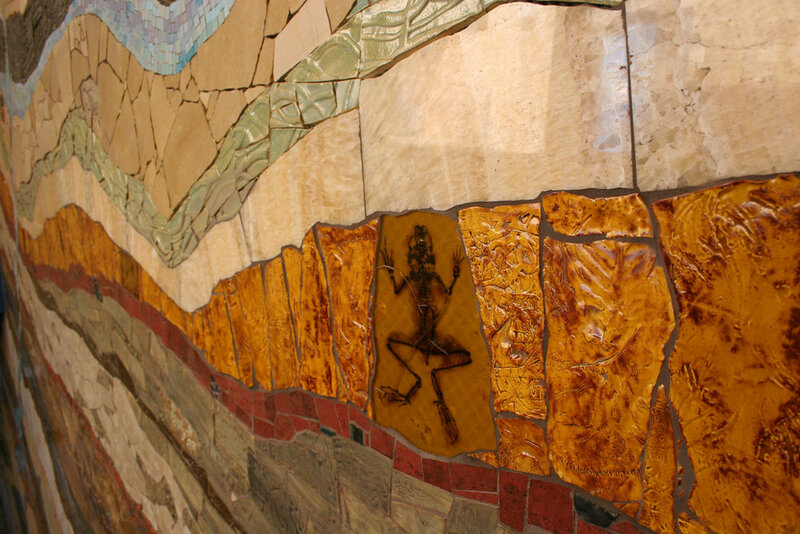 The layers are imbedded with hand-made fossils, precious stones, amber, oil, and water. 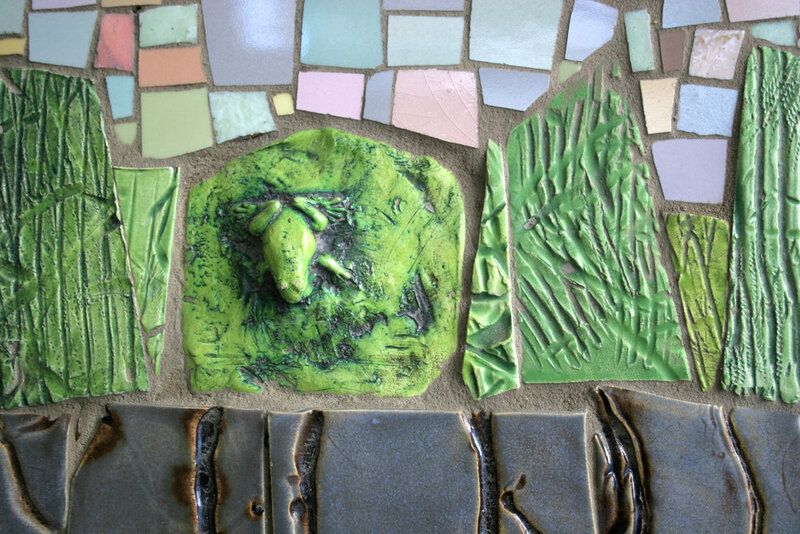 The client wanted a public art installation that would honor the importance of oil exploration and the concentration of oil related businesses in The Woodlands. 700" x 700" x 0"